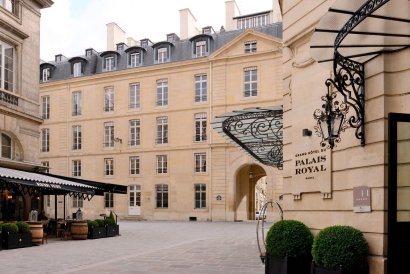 The Grand Hôtel du Palais Royal is the only luxury hotel in the vicinity of the Palais Royal, a few steps away to the Louvre Museum. 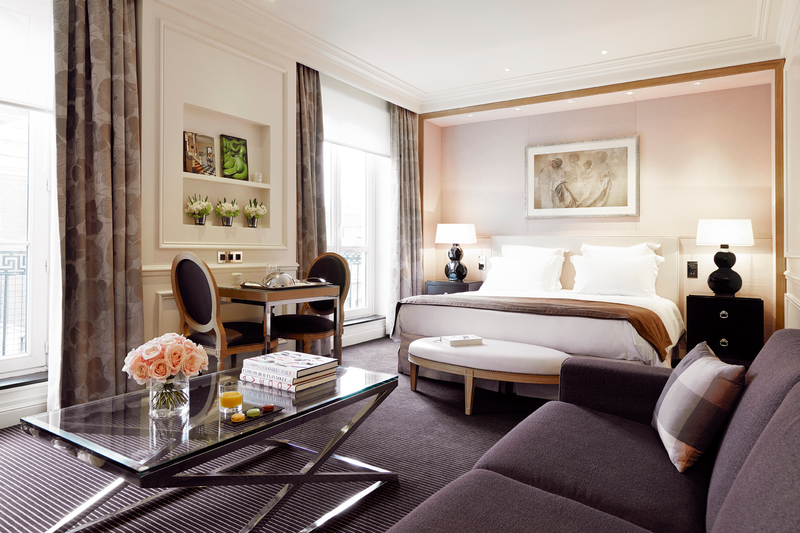 It combines the unique charm of the left bank on the Right Bank, and an ideal location to explore the cultural wonders of Paris. 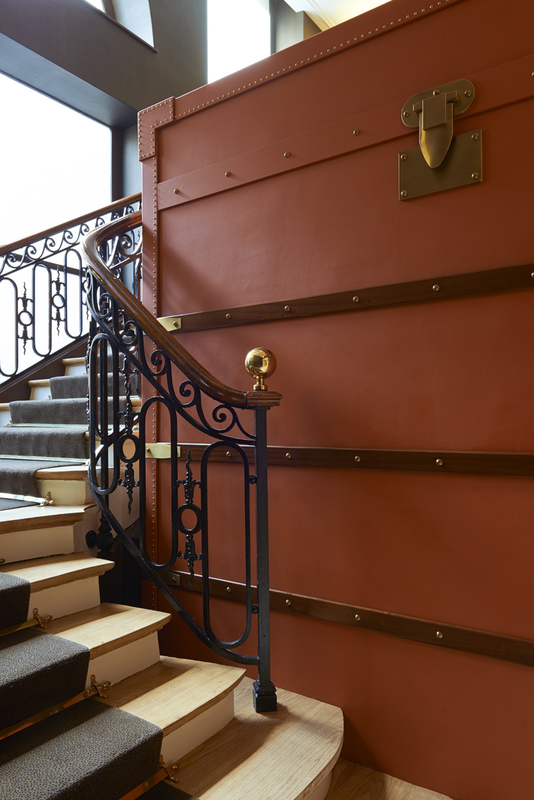 Nestling next to the Palais Royal, the character of the hotel draws upon this marriage between the past and present so typical of the City of Lights to bring together Parisian elegance and contemporary hospitality. 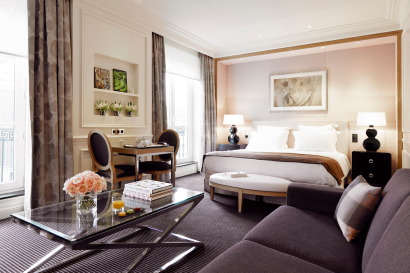 The hotel has been completely renovated by Pierre-Yves Rochon to offer guests the quintessence of Parisian chic and each of the 68 rooms & suites enjoys a delicate décor and views over Paris. 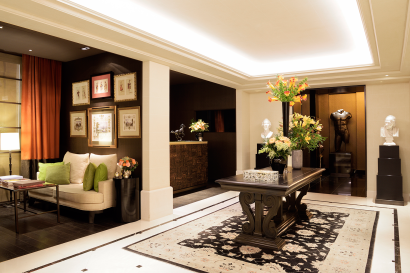 On the 7th and last floor, nestle the two “Signature” suites. They offer the charm of a Parisian apartment with their elegant and unique interiors. The Palais Royal Suite is very cosy, and it offers stunning views over Paris. 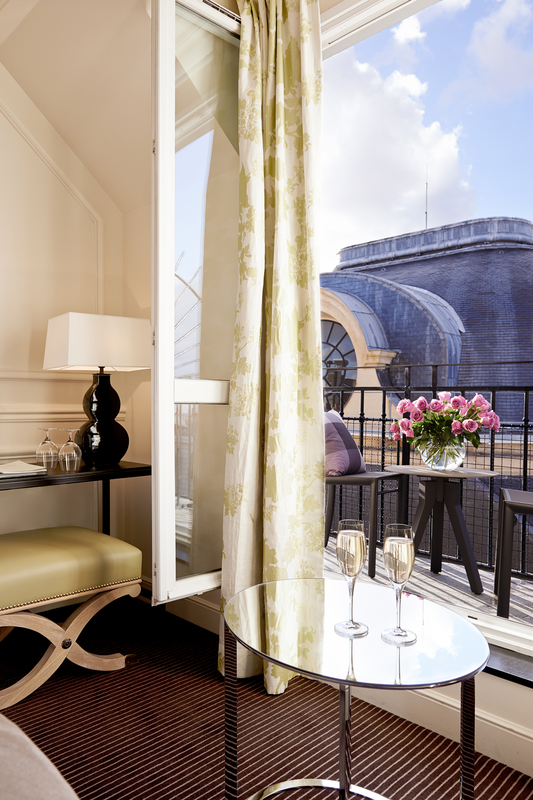 From the terrace of our Panoramic Terrace Suite, you will be blown away by Paris’ skyline. 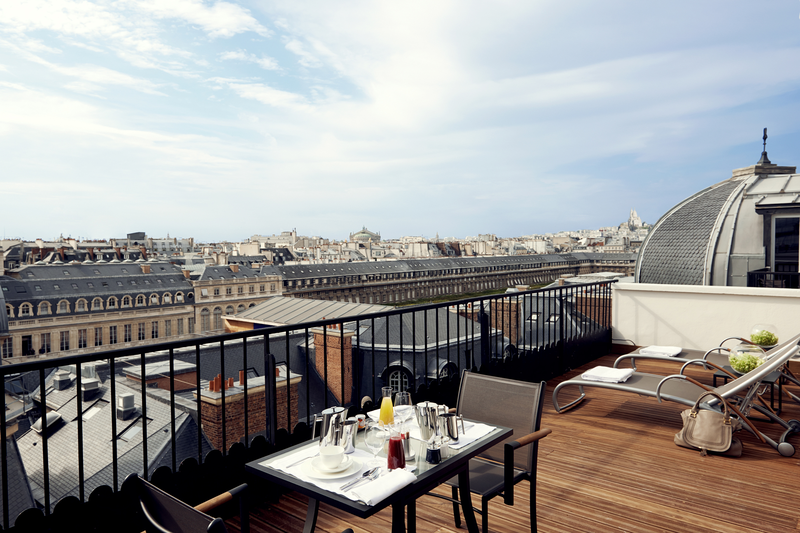 Hotel closed early 2012 to be completely refurbished by Pierre-Yves Rochon, and re-opened on the 8th of July 2013. • Our amazing location in the heart of Paris, opposite the Palais Royal garden and steps away to the Louvre Museum. • Big floor-to-ceiling windows in every room. They are drenched with light. • The maze of narrow streets around the hotel for great restaurants & bars. If you want to see the Fashion Week crowd, pop in, we are right in the heart of the happenings ! • On the 7th floor, 2 Signature Suites : the Palais Royal Suite is a Duplex, very cosy and perfect for couples/honeymooners. It also has a balcony overlooking the Eiffel Tower and the Louvre. 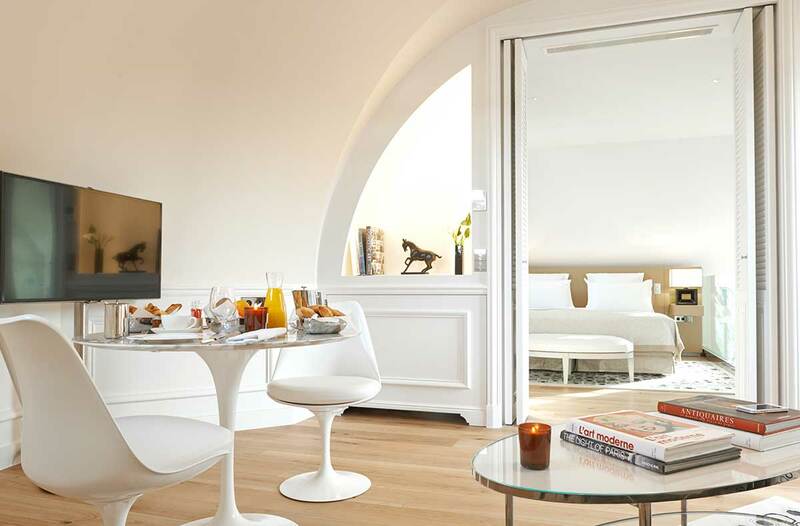 The Panoramic Terrace Suite is like an apartment with its own private lift. 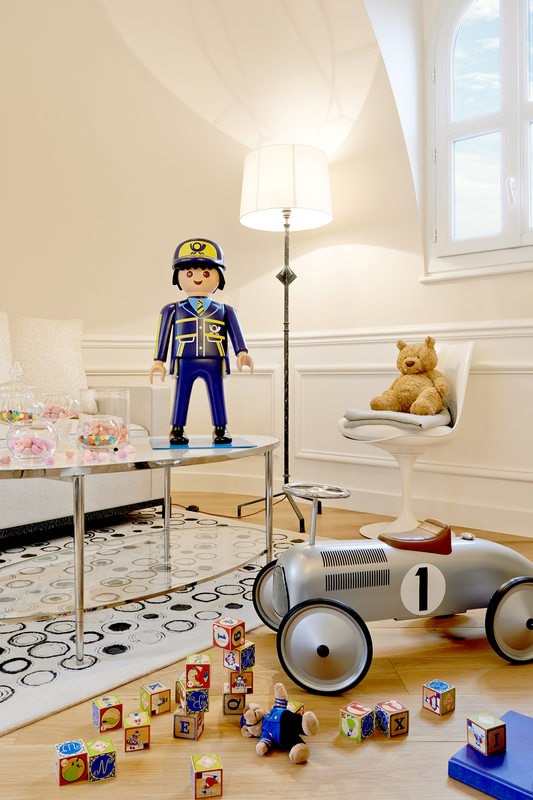 It offers an amazing 20 sq.mt, big terrace, with breathtaking views over Paris. 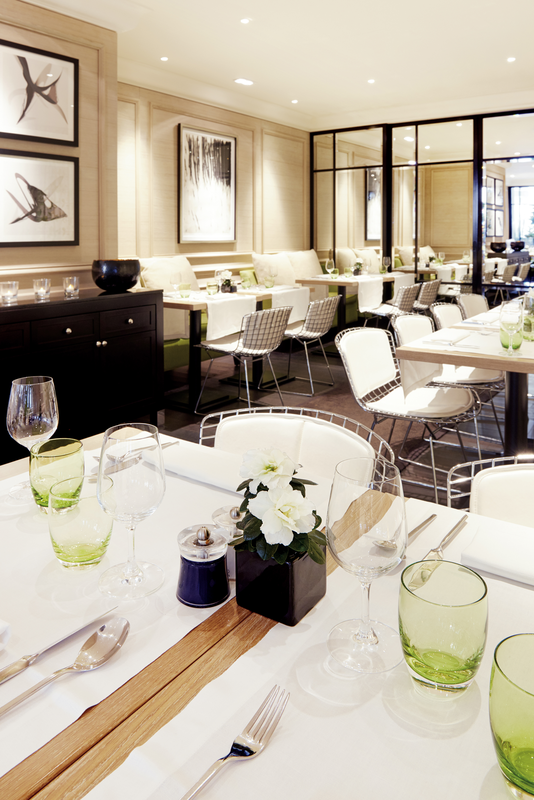 • Le Lulli opens every day of the week for breakfast, lunch, and on weekends only for breakfast. • The executive Chef Clément Le Norcy was trained and learned from Michelin Star-Head Chefs: with François Adamski, best French Artisan 2007 and Bocuse d’Or, during 4 years, and 2 Michelin Star Chef Michel Portos in Gironde, Chef of the year by Gault and Millau guide. 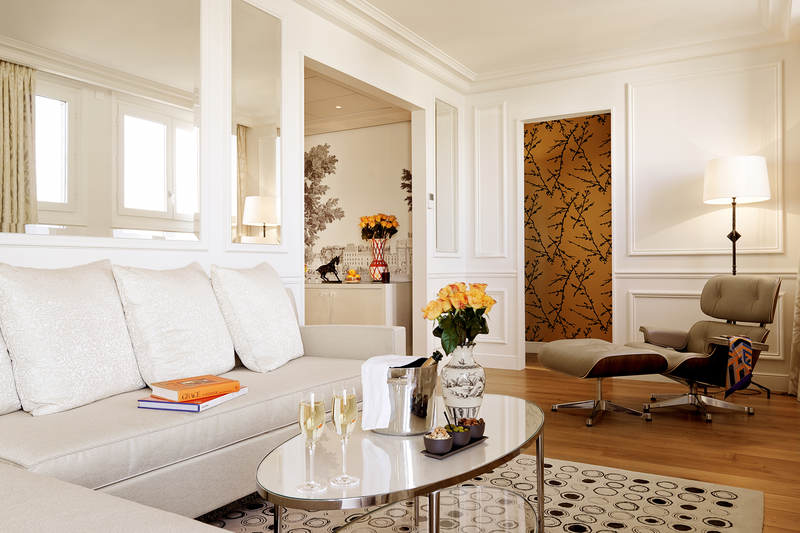 • The Lounge Bar Le Lulli opens everyday at noon (until around midnight) and has more than 30 different sorts of Champagne. 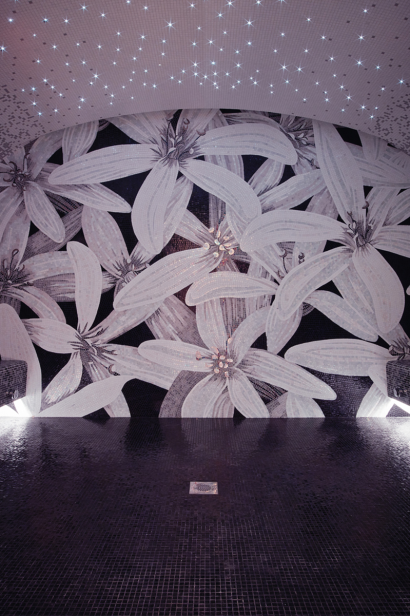 • Fitness and hammam are complimentary to all our guests. Our restaurant can be privatised for cocktails (up to 50 people) or for a seated lunch/dinner (up to 30 people). 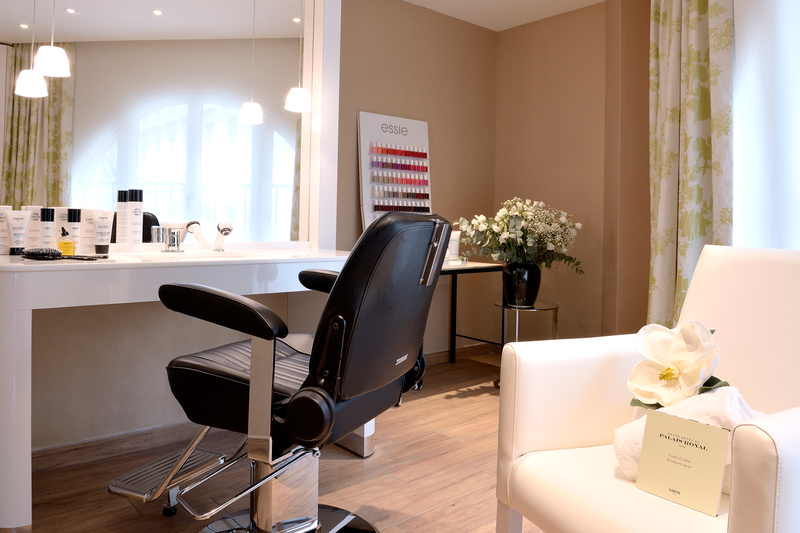 Grand Hôtel du Palais Royal features a beauty room with hairdresser, manicure, etc.